NDS, a DRM, PVR and interactive TV company, will be taken private, away from its current public listed status. News Corporation currently owns approximately 72% of the equity and a stunning 96% of the voting power of NDS through its ownership of 100% of the outstanding Series B shares. As we’re not fans of football, we’re constantly amazed at how keen people are to watch the game that involves people kicking a pig’s bladder around an oblong section of grass. Ho, Hmm. Never one to not take the opportunity of cramming more football into people lives, Sky TV has teamed up with a load of other ‘newspapers’ owned by media mogul, Rupert Murdoch, to create 24-7 Football. It’s a new on-demand service that will offer video highlights and goal clips from the Barclays Premier League and UEFA Champions League on mobile phones. We received a newsflash from the Wall Street Journal (I guess they would be the first to know) at 4:27 this morning that the Dow Jones board had voted in favour of the News Corp take over, with only Leslie Hill, a member of the Bancroft family, and Dieter von Holtzbrinck abstained from the vote. Christopher Bancroft – who it is understood is actively seeking alternatives to the News Corp. bid – left the meeting early. 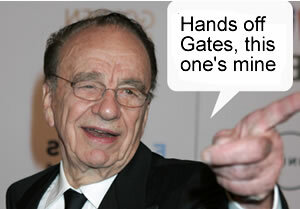 It’s reported that News Corp. was “grateful” to Dow Jones board for its vote. News Corp have been trying to get their hands on Dow Jones and the Wall Street Journal, to add to their already large portfolio of highly influential media titles and companies around the world. The next, and possibly final stage, is for the Bancroft family to approve the boards approval. Given the family has asked for more than $60 per share in the past – the current News Corp offer, valuing the company at $5Bn – it’s anyone’s guess which way it will go. There’s been considerable concern voiced about how good an idea it is for Rupert Murdoch to be in control of a major force of financial reporting in America. With a chilling wind stirred up by a tornado of law suits blowing their way, MySpace has announced that it will be implementing new technology to stop members’ using copyrighted material without permission. 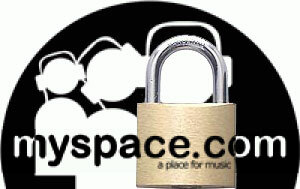 Based on Audible Magic technology, the new content protection system regales under the name, “Take Down Stay Down,” and MySpace is hoping that it’ll do what it says on the tin. It is perfectly logical that Rupert Murdoch’s News Corp that owns MySpace would use it to trial new features and services that will be of use across their vast empire of media companies. To this end, MySpace will be launching MySpace News, expected to launch into Beta later today. They will be scraping news site across the world and presenting them in the same way that Google News does so successfully. Once the stories are presented to the MySpace users, they’ll be able vote on the quality and content of the stories, in much the same way as Digg users currently do. So it looks like they’ve taken Google News and Digg and glued the two together. We’re not sure if Rupe has this one right, as it’s widely known that the younger end of the population doesn’t really care that much about news. Time will tell if they choose to spend their leisure time (as that’s what MySpace is) reading news stories and voting on them. In the wake of US newspaper USA Today recently unveiling a new version of their site with more cutting edge ‘new media’ features than any other, I thought it might be a good time to have a look at the challenges posed to newspapers by the onslaught of new media, what they are be doing about it and what they should be doing about it. Undeniably new media (that is, the general availability of the Internet and the new types of publishing it enables, such as blogs and podcasting) has had a significant negative impact on circulation of newspapers. There are roughly two schools of thought over why this has occurred. The cynics would argue that it is because the ‘old media’ no longer has the trust of the public, and instead people turn to indie publishers, such as bloggers and podcasters, to provide information on what is happening in the world around them. A more moderate viewpoint would be that the Internet has lowered the barrier to entry into the publishing industry to such an extent that anyone and everyone can publish content (the long tail effect), thus inevitably reducing market share of the big players. It would seem that this view is the more sensible. If newspapers wish to stay relevant therefore, they are forced to innovate in the realm of new media. Their future circulation is at stake, and if they fail to successfully capture market on the web they miss out on potentially millions of pounds worth of advertising a year. Hence the effort the newspapers are putting into finding a way forward. The biggest, and perhaps most notable addition to the newspaper’s content production is audio visual content (AVC). AVC refers to anything from podcasts to video blogs to video news reports. These are of crucial importance because of the value they provide to the consumer’s experience above and beyond that found in the newspaper. The recently relaunched Times Online seems to be taking this the most seriously with the launch of an entire AVC section. They are currently providing over 10 different podcast series, and video content from their Iraqi correspondent and a car review show. Whilst the Times Online is making an admirable effort, my personal favourite newspaper podcasting effort is that of the Comment is Free section of the Guardian Unlimited website. I particularly enjoy their Media Talk podcast, to which I devotedly listen every week. Another noticeable theme is the rise of user generated content (UGC). This is when users add any of their own content to a site, whether by means of a blog comment, uploaded video or anything else. This is an important trend for newspapers to be adopting for two reasons. The first is that users have come to expect the ability to add their thoughts to a story; provision of comments enhances conversation, and thus interest in the story and ‘stickiness’ of the site as users return to read comments in response to their own. The second reason is that UGC is ideal for any business looking to monetise content through advertising because it provides virtually free content, next to which can be placed fee-paying ads. Almost all the recent newspaper Website relaunches (such as that of the Times and the Telegraph) have the ability to add comments, as well as more the forward-looking Guardian Unlimited, which has had the feature for some time. However, by far the most adventurous in UGC is the recent relaunch of the USA Today site. USA Today is building a fairly robust social network around their content, which allows users to comment, have their own avatar, ‘recommend’ (effectively digg) stories as well as a profile page. Over time it is clear that the journalist will have to become an expert in all types of media. They will have to be able to easily transition from writing a story for a newspaper to producing a podcast interview to setting up and tweaking an installation of WordPress. Whilst many journalists will be struggling to be as technically proficient as this requires, I believe the necessary skills will develop over time. The temptation will be for newspapers’ websites to become more and more like a combination between Weblogs, Inc and Digg, with loose editorial control and use of wisdom of the crowds to determine top stories. It is crucial that this is resisted, because to move in this direction would mean that newspapers would lose their unique selling point of quality, carefully edited content. The challenge, therefore, is for newspapers to continue to innovate without losing sight of why they are important sources of news. If they succeed, they will continue to flourish, otherwise perish. In an ideal world, waiting near the top of the new OFCOM boss Ed Richards’ in-tray, there should be a folder marked ‘Sky Monopoly’ and on it a brightly coloured post-it with the words anti competitive clearly inscribed. Digital Television is a standards based system with the majority of the world using a system called DVB (the Americans have something called ATSC but that’s a story for another day), the UK’s Sky TV uses the DVB standard in most respects. Pay TV operations rely on a system of Conditional Access (CA) where channels are encrypted, viewers with a suitable viewing card can decrypt the services they subscribe to, those who don’t subscribe don’t get. To enable the pay services to operate with the use of ‘viewing cards’ the DVB system has a standard, the standard allows for different viewing cards to co-exist and for TV services to be encrypted by more than one encryption method at a time, the so called Simulcrypt (Simultaneous encryption, get it?). The area where Sky has decided not to use DVB is for its Conditional Access encryption. 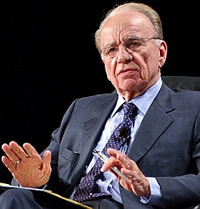 Sky TV which is controlled by News Corporation, the large multinational media company with Rupert Murdoch at the helm, uses a special tailored version of Conditional Access a variant of Videoguard which is produced by a company called NDS that is in turn, majority owned by News Corporation. Now you might be curious to know why this matters, well as the majority of UK householders who watch digital TV, watch via a Sky TV satellite ‘digibox’ and to have a channel that can be easily received via Sky TV the channel must contract with Sky TV to appear on the Sky Electronic Programme Guide, commonly referred to as the EPG. If that TV service then wants to charge the subscribers to their service they have to use that special version of Videoguard CA. So what can be done about it? Well OFCOM can and should mandate Sky TV to open up its platform to other DVB CA systems and new entrants can then offer smaller niche services and a new competitive platform to Sky should emerge. The BBC has for some time been promising a Freeview alternative to the UK’s dominant pay TV operation Sky Digital, but with it’s struggle with the government to secure a long term above inflation licence fee settlement and its desire to start a High Definition TV service, this cause has been relegated to the back burner. As the government ordained switchover date looms ever closer, viewers who can only receive digital TV by satellite should be able to choose a non Sky alternative even at the risk of upsetting a powerful media mogul. News Corp Buy 51% Of Jamba For $187m! News Corp has reportedly shelled out $187.5m to buy 51% in Jamba (Jamster in the US), the mobile phone ringtone company who came to prominence with the Crazy Frog ringtone. What!, was the cry around the Digital-Lifestyles offfices. How much …. and for what? Many had the same reaction when Murdoch bought MySpace for $580m a year ago. These same people had to quickly readjust their view as member accounts rose to 100m and they signed a deal with Google that brought in $900m. Here’s a few of our theories as to why they might have splashed so much cash on this. News Corp are very gun-ho about content to mobile … well actually all platforms now. It may be that they hoping to buy large amounts of Jamba’s already-paying customers. We saw Jamba at IFA in Berlin (where they’re based) and the stand was indeed filled with eager young-things, trying to look cool, in their self concious way – ideal clients for content. The WSJ is reporting initial offerings are expected to be ringtones, wallpaper and short clips from the popular Fox animated series The Simpsons. With this purchase, you could assume that News Corp want to move into this space very quickly, as building an infrastructure to deliver content to mobiles isn’t exactly beyond the realms of achievability. Jamba obviously have a lot of expertise in delivering content, primarily ringtones, to mobile phones. Verisign bought Jamba for $266m in 2004 at the height of the Crazy Frog promotion. We thought at the time it was a very strange fit for a company that provides services. Posted on 12 September, 2006 Author Simon PerryCategories Business, Cellular, Mobile, News Corp.